What is it? The highway is a structured, modular process that enables you to identify the road ahead for your organisation, quantify the risks and deliver it through the development of people. It is a fundamental belief of ours that all organisations have a back story and a purpose that can be used to help with defining the future. The problem is that leaders and managers often don’t spend enough time thinking about the future, discussing it with their peers and colleagues and then coming to agreement, as a leadership team, about what it looks like. It is only when you have this agreement that the way forward becomes properly clear and you can take your team with you. We have another fundamental belief: every organisation would benefit from an external view as often people without an agenda can identify the actions to take the organisation forward. Communications, planning, people engagement and development are the keys to solving these problems. Glen Maxwell-Heron watched the chaos of the financial crisis in 2008 whilst working as a consultant in Tokyo which provoked real frustration at the inability of larger organisations to plan, assess the risks they were taking and lead their people through the meltdown. This frustration left him with a strong desire to help organisations to do things better, so they aren’t caught by surprise, so they can put ambitious but realistic plans in to action to deliver quality to their customers with a motivated workforce. 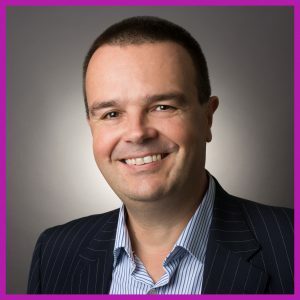 When he returned to the UK in 2012, he formed St Andrews Consulting to do just that and he now works with ambitious leaders and teams in organisations that are open to or facing change, or who simply want to do things better!